Empty shelves and long lines have agitated Waterfront customers at the local Safeway store. But after months of complaints the store is making improvements and managers have refocused their attention to provide better customer service. The Waterfront Safeway has been a recurring problem for residents. The Ward 6D Advisory Neighborhood Commission met in September to discuss the condition of the store, a subject that has been on the ANCs agenda since June. Williams complained to management about the conditions and said managers have been very responsive to complaints. “Not only did I talk to store managers…but other top regional managers of the entire chain,” Williams said. Mark Morrison, newly hired store manager said although he’s only been working for one week customers have given him “honest opinions” about the Safeway’s service. While the store still could use more cashiers and keep better stock, all hope isn’t lost. Some customers have a love-hate relationship with this Southwest grocery store. Williams said she feels a “certain loyalty” to the store because its loyalty to the community. In its backyard, a new Safeway is being built as part of the Southwest Waterfront Redevelopment Plan, so there are no plans to renovate the store. Until the new store is finished in 2010, Morrison said his priority is to “get back to the focus” of customer service. 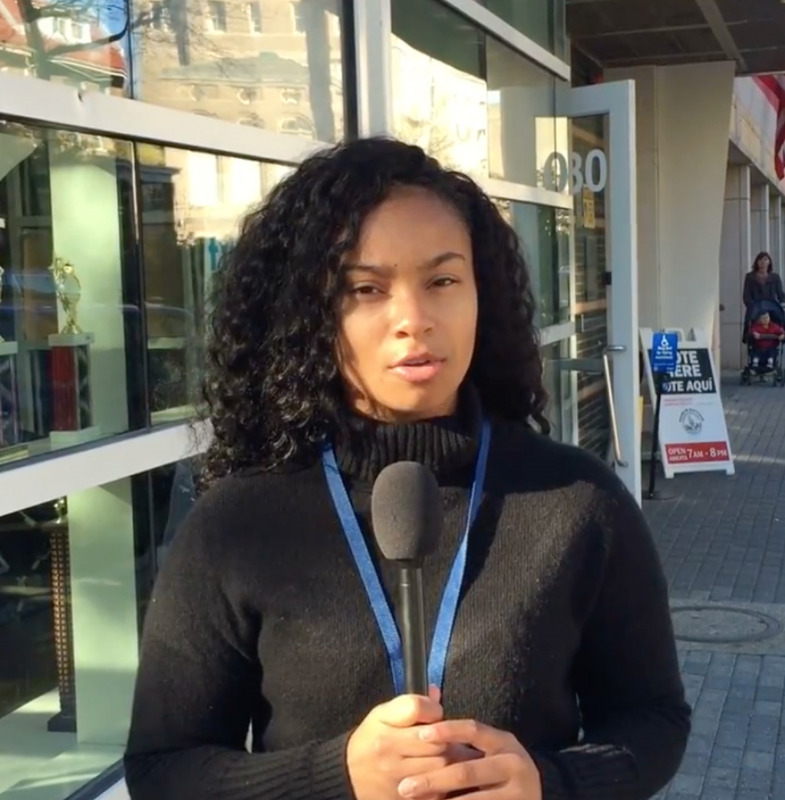 Howard University News Service Reporter Nicole Hutchison reports on voter turnout from the Washington, DC neighborhood of Columbia Heights.